Do you need stylish yet functional windows and doors that shine and enhance the look and operation of your home? If so, you should look into Intex Windows & Doors for your needs. You will be pleased to know that you can find many choices for Replacement Windows Burbank by looking over the large catalog on our site. It is full of color photos that will allow you to see what you would be getting when you make a purchase, as well as a detailed description of the benefits of buying these doors, windows and the associated hardware to add to them. With fixtures from Milgard, Jeld Wen, Fleetwood, frames from Timely, and storefront glass from the highly rated PRL Glass, you really cannot go wrong by shopping from Intex. We have been around for over 10 years, bringing quality products from these name brands and more to customers who are all over the larger Los Angeles area. We operate out of Glendale, and are committed to serving the community. Buy local and you also will give us support to give back to the community in which you live and work. We love to help customers from all backgrounds, regardless of the budget that you have for the remodeling or construction project, and no matter how big or small it is. We really do go the extra mile for everyone who we serve, helping out with every step of the process including answering questions about the website and ordering process, as well as talking about customizations in the instance that you do not see anything that fits your unique needs. 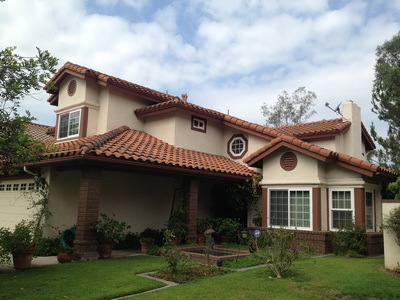 When you want Replacement Windows In Los Angeles, do not settle for less. Come to one of the best distributors in the industry for assistance with all of your design solution concerns and questions. We have products for commercial, residential, and institutional purposes. No matter what it is that you may need in doors and windows, there is a good chance that we have something that is as close as possible to it. However, you always are welcome to talk to us about your ideas for a customization project. We think it is important to work together with our customers to bring their visions to life. Intex professionals are highly skilled at taking basic ideas and turning them into something truly extraordinary. Whether you want something that is traditional or more contemporary, you can turn to Intex Windows & Doors for your patio, shower, entrance and storefront doors, as well as many other products that you can view with ease in the catalog by clicking on the appropriate categories that you want. Though we only carry the most durable of products, we have made it so that you can take advantage of the full lifetime warranty if something occurs in transit to the fixtures, or if damage occurs at no fault of your own while it is in your possession. You can ask for an exchange, or get a refund of what you paid for it. We want all of our customers to be happy with their windows and doors. For Replacement Windows Burbank that have clean, smooth lines and a beautiful finish, come to Intex Windows & Doors. Replacement Windows Burbank require a certain type of high quality craftsmanship – the kind you might find in large number through a leading distributor in the Los Angeles area, Intex. Our customer service also is unrivaled, as you can see by reading all of the testimonials that customers have written about Intex Windows & Doors. You can find a variety of doors, windows, and hardware all in one convenient location when you shop from our company. We sell from several top home and commercial design companies in the area, such as Jeld-Wen and Milgard. It is important to us that we reflect a wide range of customers' needs, and that is just what we intend to do. Anything you have in mind will likely be in our stock. However, if you don't happen to see what you want among the product that we carry, feel free to talk to a representative about creating a customized fixture. You may think that you will have to play a waiting game for awhile if you request customization, but this is simply not the case. The time difference to craft a unique product is only a slightly longer wait than otherwise. Plus, we make it easy to discuss your needs with a representative and do everything we can to match them so you get exactly what you want. Regardless of the size of your project, you can count on Intex to help you out with the task. We work hard to perfect the process of choosing the right fixtures, making sure you have everything in place to begin (a must if you are getting replacement windows), and installation. Our experts are highly trained, and you can complete the task quickly and efficiently to let you get back to your day-to-day life. We are a family-owned and run company, and even though we have expanded the reach of our business since 2003, we still make it a point to treat our customers with care and be personable. This is a big part of what makes us a great leader in this industry. We make sure that every product we sell is durable and high quality – and if it is not, we have a warranty in place. You will never be stuck with a product that has been damaged or does not look or operate as promised. Best of all, we put time in early on to talk over product specifications, so that the windows you receive will be just right. We have a line of Energy Saving Los Angeles windows and doors that are specifically designed for the climate where you live. They keep the elements out while keeping the heat or cool air inside your home, ensuring that you are as comfortable as possible. You deserve utmost comfort, and to be confident in the fixtures that you have in your house, store, or office building. If you need some Replacement Windows Burbank, you've come to the right place. You have the freedom of making a choice among many amazing products that you'll love. The categories and options may be intimidating at first, but that is why we welcome you to call and talk to a professional from Intex Windows & Doors. You can ask as many questions as you like, and receive free advice and a quote on how much it would cost to complete the work on your property. Our prices are fair, to allow people from all backgrounds the opportunity to purchase what they need to complete their construction or remodeling project. You can choose between sound control windows, stylish windows with clean lines and a slim frame, and many other products that are finely crafted. No matter what you end up deciding, you'll have a supportive team of experienced representatives to back you up and make it easier. Contact Intex to take the first step today. 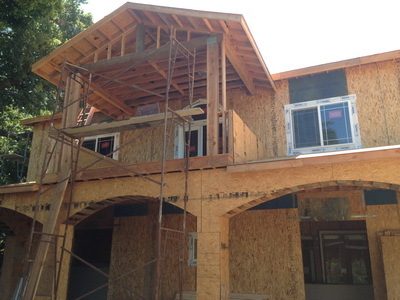 Do you wish to purchase Replacement Windows Burbank for your commercial property or house? No matter which it is, you deserve only the best, and Intex Windows & Doors is sure to impress you with their extremely high standards of customer service. There are certain guidelines to which you must adhere when putting in windows in particular areas, so you do not want to begin this process without being well informed of what is needed. To be on the safe side, it is ideal to have an installation specialist from your local area do the installation. They will prepare you for whatever is required beforehand and deliver fast service of excellent quality. On top of that, each and every single window and door that you order from Intex is going to be top notch in terms of the design. When you want something that is attractive and that will last for a long time, our products are your best bet. If you favor unique craftsmanship and high quality above all else when it comes to your Patio Doors Sherman Oaks, you will want to give Intex Windows & Doors a chance. We are an authorized dealer of many types of beautiful doors and Replacement Windows Burbank, for both the exterior and interior of residential and commercial buildings. It can be quite luxurious to be able to use stunning patio doors to enter your patio and from which you can view it with ease. We can promise you a style that will fit your home and a design that matches your specifications. Be sure to tell us what the climate is for your region, so that we can give you Energy Saving Los Angeles products that will be functional and attractive. It really does not get much better than this. If you want to get started right away, contact us for a quote or you can ask for a free in-home estimate.